Your Mind Is What Your Brain Does for a Living won the "Living Now Mind Award"! You can see the announcement here. Experiencing greater happiness doesn’t have to be complicated. We can take small steps every day–shortcuts for creating positive changes in our lives–to improve our self-esteem, decrease stress, develop better relationships, and experience more joy and fulfillment. 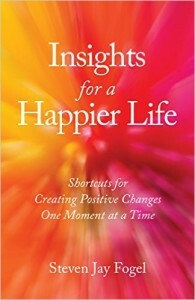 How does our thinking keep us in the past without our realizing it and prevent us from living a happier life? What can we do to let go of dysfunctional thinking and acting and learn to act in ways that lead to greater fulfillment? 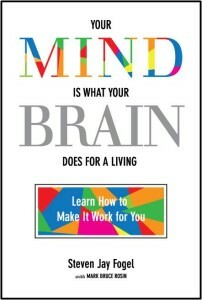 In Your Mind Is What Your Brain Does for a Living, Steven J. Fogel answers these questions and gives us techniques to reprogram our mind and brain to help us achieve our personal and professional goals.